Composing arrangements in pots is fun way to create powerful points of interest in your garden. Here are a few examples: each pot is chosen to compliment or contrast with its planting and surroundings, in color, texture and size. 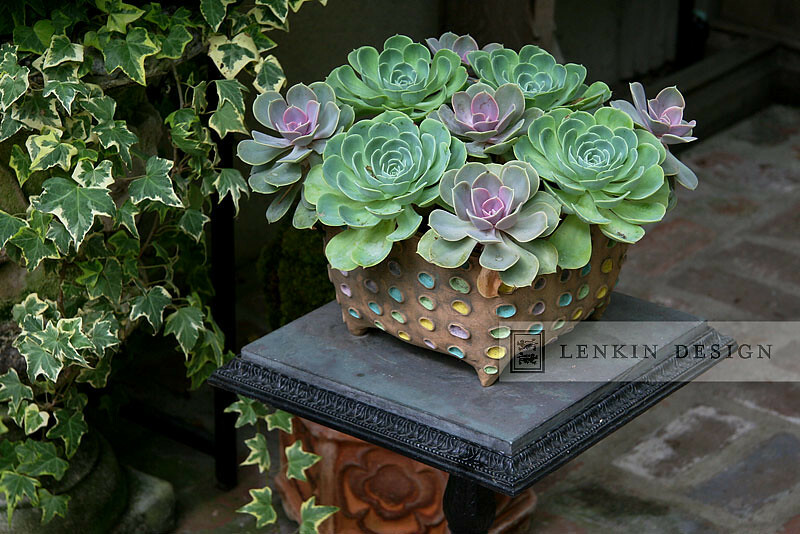 These echeverias are arranged in a grid, echoing their polka-dot pot in color, rhythm, and whimsy. 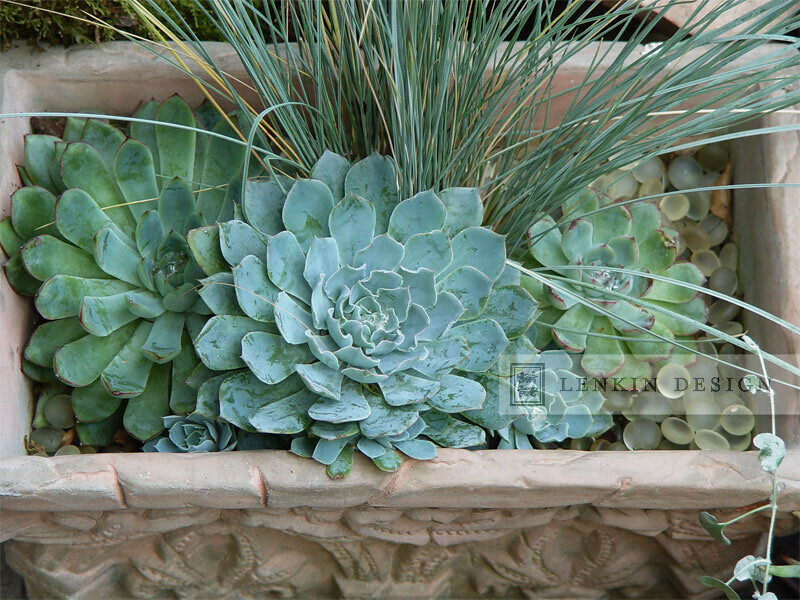 In this composition of soft blues and greens, a spray of Helictotrichon grass plays off the roundness of the succulents and the smooth pale green marbles. Marbles are a great way to put the finishing touch on a pot. LEFT: Polygonum capitatum trails downwards while Dasylirion explodes upwards, penetrating the vibrant red and orange of a grape vine (Vitis vinifera) in late autumn. 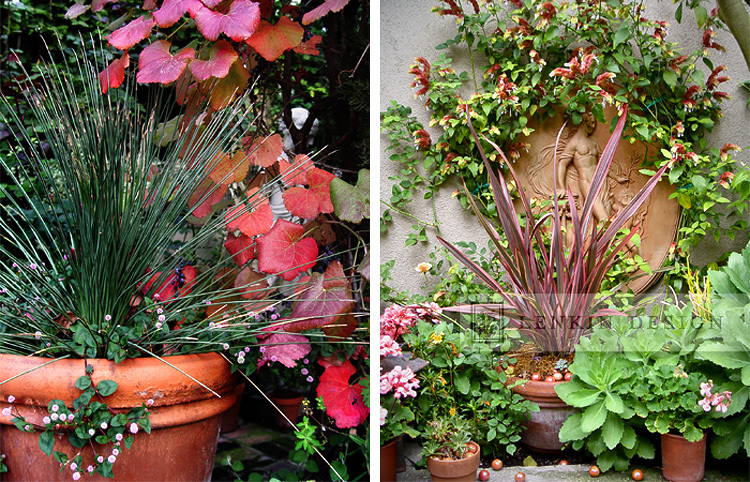 RIGHT: Phormium ‘Pink Stripe’ drawing your eye to the classical terracotta wall plaque. The color is balanced between the flowers on the Justicia brandegeana vine above and the pink geraniums below. 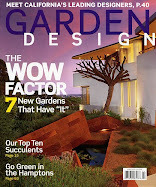 I think we have a phormium here in Tucson, although I think the form may be more dracena-like. It adds such great color to the garden! Thanks for a beautiful post! Thanks so much. We had a great time putting this together!